Melbourne hosts Australia’s first conference dedicated to graphene innovation. 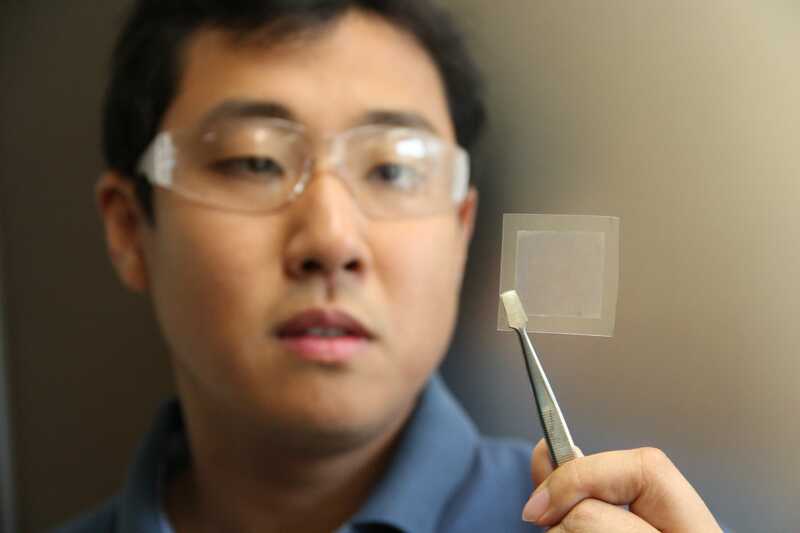 The super-strong, super-conductive material has the potential to change our future. One of Silicon Valley’s biggest accelerators is ready to work with Australian startups. One of the world’s biggest startup accelerators is in Australia searching for people who want to work with the world’s most promising material. Silicon Valley accelerator Plug and Play Tech Center, which has helped the likes of Google, Dropbox, PayPal and Zoosk develop their ideas into businesses, will be at the inaugural Graphene+ conference in Melbourne today, to announce its interest in setting up an Australian outpost. Presented by the Australian Graphene Industry Association (AGIA), the conference has been developed to show how graphene might change the world, and the Australian companies that are already leading the world in developing applications for the superconductor. After nearly a decade of hype about indestructible armour for super soldiers, unbreakable smartphones, bionic devices attached to our brains and paper that’s stronger than steel, it feels, to the regular reader, like graphene is in danger of slipping into the “Where’s my hoverboard?” category. Most of the writing off stems from the perception that graphene — in its pure form, an atom thin sheet of carbon — is simply too expensive to use in any popular real-world application. You’ll hear figures like $800 for a piece the size of a drinks coaster. And that’s actually way, way down on numbers being thrown around even three years ago. But graphene manufacturing has come a long way since Andre Geim and Konstantin Novoselov at the University of Manchester first isolated the raw material in 2004. And AGIA chairman Chris Gilbey says its time is finally at hand. Gilbey knows a good thing when he sees it. He has an OEM for his contribution to the music industry, which included telling the world about AC/DC, managing The Saints, and signing INXS to his record label. These days, he gets excited about single layers of bonded carbon atoms. In 2014, he founded and is CEO of Imagine Intelligent Materials, which built the first commercial graphene manufacturing plant in Australia. Gilbey says the “cost” of graphene is widely misunderstood. The agenda at the conference in Melbourne today deliberately avoids talk of mining and manufacturers and focuses instead on “taking the brakes off innovation” as we head into the Fourth Industrial Revolution. It’s more important to first understand what we want from graphene, he says, rather than more talk about what graphene in its pure form is capable of. For example, in February, the CSIRO announced the development of “Graphair”, a type of graphene made from soybean oil, that could make even Sydney Harbour’s water drinkable. Imagine IM specialises in “fit for purpose” graphene that can greatly enhance the performance of current materials. In the age of the Internet of Things, that kind of instantaneous sensing and reporting will be essential. Material design can now be undertaken at a molecular level to deliver the kind of functionality you’d have to go to the movies to even imagine 20 years ago. In this age where more data is more power, imagine a carpet that tells you how much foot traffic is passing over it, or a water tank that knows it’s about to spring a leak. How about a car seat that responds to the stroke of a hand? Textile Touch HMI Control System from Imagine Intelligent Materials on Vimeo. These are real products in development at Imagine IM. And Imagine, Gilbey says, is one of a surprisingly large number of small, innovative Australian companies pushing the boundaries of what graphene can do in its many forms, and drawing some $30 million in government research funding since 2009. Today, at Graphene+, Plug and Play’s Vice President of New Materials & Packaging, Ömer Gozen, will announce a huge opportunity for such a startup. Plug and Play offers two accelerator programs each year in 14 different industry-specific verticals in Silicon Valley. They have a similar format in each of their offices outside of the USA. In these innovation platforms industry-leading corporations such as ExxonMobil, DuPont, PepsiCo, Avery Dennison, Dow Chemical task Plug and Play with finding specific technology based on their business priorities and challenges. In the Materials and Packaging vertical, around 1000 startups per year make submissions to Plug and Play. Plug and Play whittle those down to a “hottest 100” and the client gets to vote on what goes through to accelerator programs. Today, Gozen will announce he can offer the best Australian graphene-based startups a chance to jump the queue straight into the hottest 100, just like he did for Imagine Intelligent Materials, for a shot at the next accelerator program in Silicon Valley. Ömer Gozen, Global Head of New Materials & Packaging at Plug and Play. Make it through and you’ll be on exactly the same path as Gilbey and Imagine are on right now with Plug and Play. Last year, one of Plug and Play’s corporate clients liked what Imagine IM was doing and pulled it from a field of some 5500 startups to take part in Startup Autobahn in Stuttgart, Germany, in June. The client was German engineering giant Daimler and the challenge it issued Imagine IM following Startup Autobahn was to further develop its advances in Imagine’s smart sensing geo-fabric. As a Startup Autobahn finalist, Imagine IM was then named one of eight companies invited to present at the Industry 4.0 category to the Mondial Tech Startup Awards, to be held in Paris between October 2 and 6. “So you can see there’s a pattern when you become a part of the Plug and Play ecosystem,” Gozen says. “When you’re successful in one location with Plug and Play then we like to keep you around and expose your offering in other parts of the globe. Plug and Play doesn’t currently have an office in Australia. But Imagine IM’s success within the Plug and Play ecosystem last year is the main reason Gozen is at the AGIA conference today — and it might have huge implications for the Australian startup scene. Gozen was so impressed with advances in Australia, he’s “seriously considering a partnership with government and local universities to help create an ecosystem for Australians startups so they can be exposed on the global stage”, starting in Melbourne. And Plug and Play already has feelers out in Sydney to get a handle on the fintech scene. “My goal is to connect with the government and local universities and find these startups and ensure that there’s a soft landing for them in Silicon Valley at Plug and Play,” Gozen says.